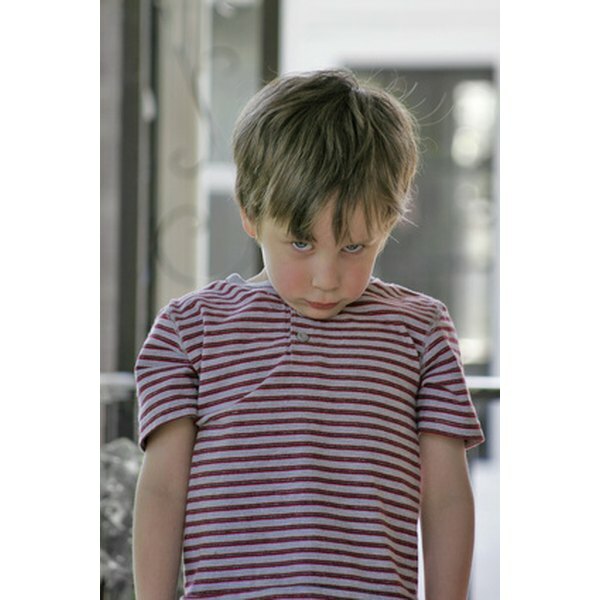 Most children misbehave from time to time, but a pattern of serious and ongoing defiance or tantrums may indicate a behavioral disorder, according to the National Institutes of Health. Parents and other adults who spend time with children should take note of behavioral issues that last longer than several weeks. By keeping track of unusual or problematic behavior, adults can help a child get early assessment and intervention for any serious emotional or behavioral concerns. Look for warning signs of poor behavior. The National Institutes of Health notes that parents and teacher can play a critical role in the diagnosis and proper treatment of serious behavioral problems in children. Children who are frequently defiant, aggressive and exhibit hostility toward authority may begin to experience difficulties in school or the community. Early intervention can be key to proper support. Seek outside support from a mental health professional. The American Academy of Child and Adolescent Psychiatry suggests that parents should seek professional advice and support if a child's behavior issues continues over a period of time. It is critical to discuss behavioral concerns with personnel from the child's school and a family physician to get suggestions for behavioral interventions and possible psychological assessment. Gather information regarding the child's behavioral patterns and seek a professional referral. The American Academy of Child and Adolescent Psychiatry suggests that certain behavioral patterns, such as hyperactivity, severe worry or anxiety, frequent nightmares and ongoing aggressive behaviors typically warrant a full assessment with a mental health professional. Parents and school personnel should ensure that the child receives a thorough assessment, including a physical exam to rule out any medical issues. Attend a consultation with a mental health professional who specializes in child psychology. According to the American Academy of Child and Adolescent Psychiatry, serious behavioral issues typically require an assessment by a licensed professional who will perform interviews with the child and parents. According to sources at Massachusetts General Hospital, a mental health specialist will use a variety of checklists to gather very specific information about the child's behavioral issues. He may also administer tests for specific emotional disorders, such as attention deficit disorder or depression. Upon completion of the assessment, the clinician will offer recommendations for support and treatment.